‘There is a House in paradise called Happiness, and one wont be let in , unless he has made children laugh’ Prophet Mohammed. 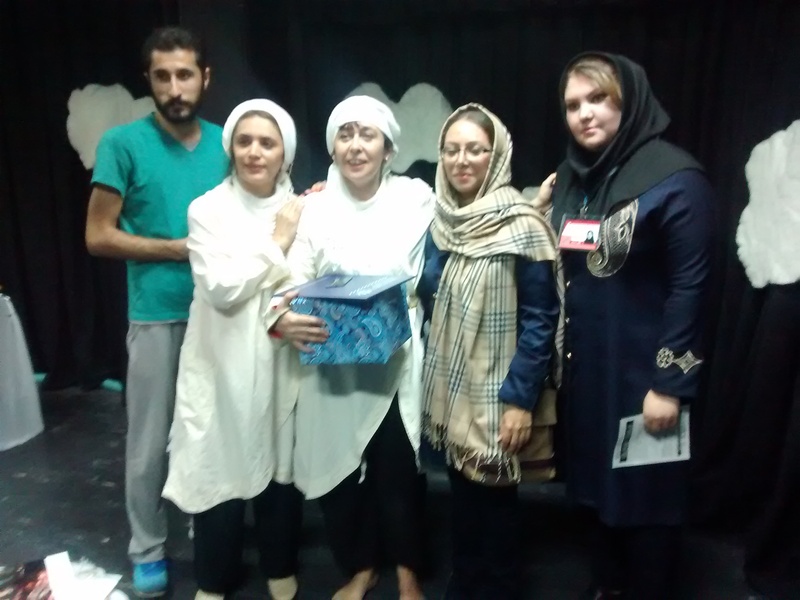 Rachel Riggs writes – Ive just recently returned from a trip to perform ‘Cloud Child’ in Hamadan, Iran at the 22nd International theatre Festival for Children & Youth 1-6th October 2015. 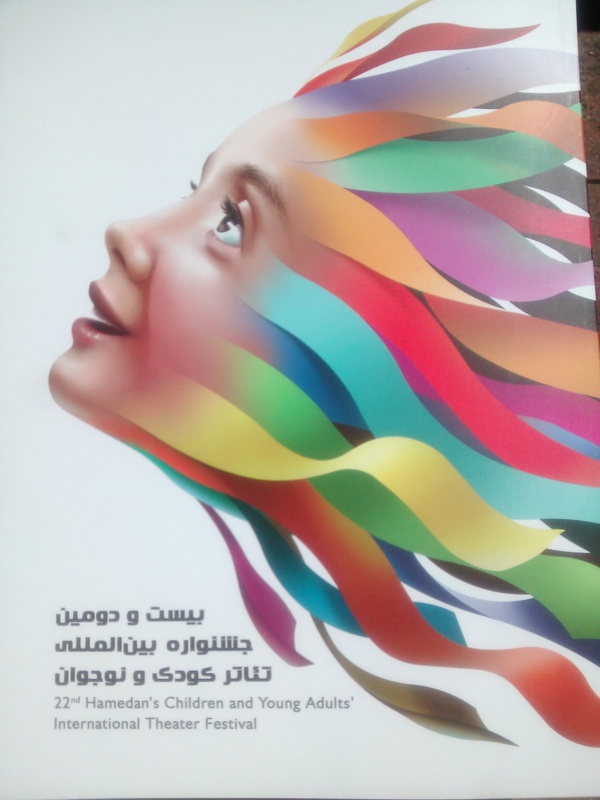 I had been invited to perform at the festival before and this year everything came together, working out the idea of a collaboration with actress and director Afsaneh Zamanai. 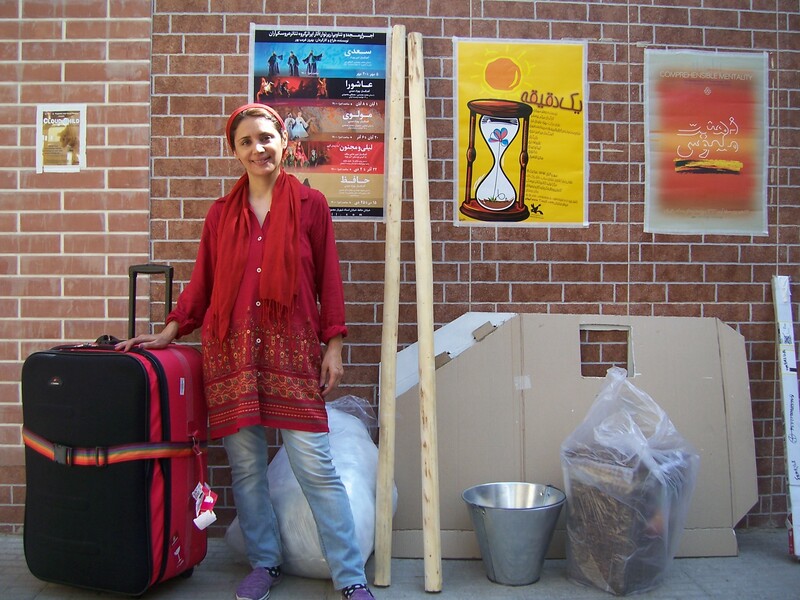 We had met two years before at a UNIMA festival in Nanchung, China, became friends and after many emails about visas, making set & props, and how we would collaborate, I was finally going to Iran (the visa arrived just in time!) The show fits in a large suitcase 20 kilos! 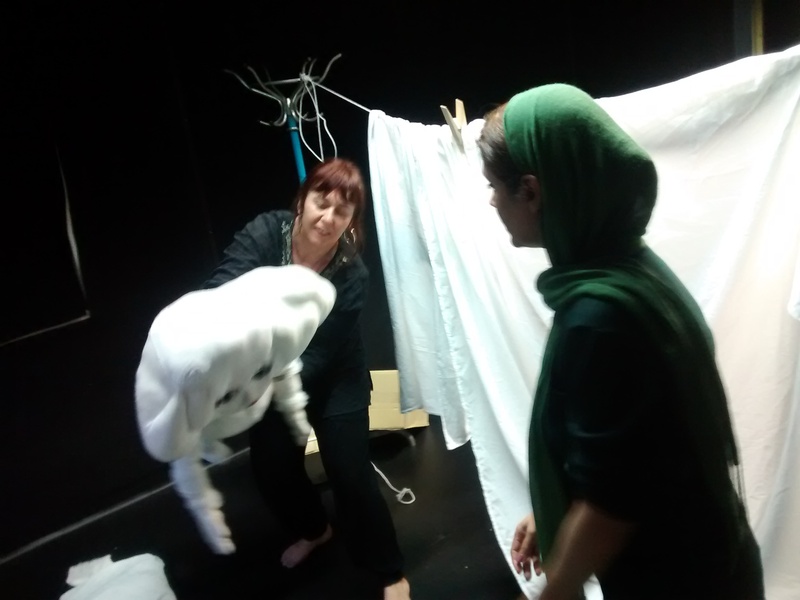 We had 4 days to rehearse in Tehran, I was very grateful to be accomodated by the Dramatic Arts Centre of Iran, who organise the festival, and we practiced in ‘ the puppet house’, the Tehran puppet centre, which was perfect. 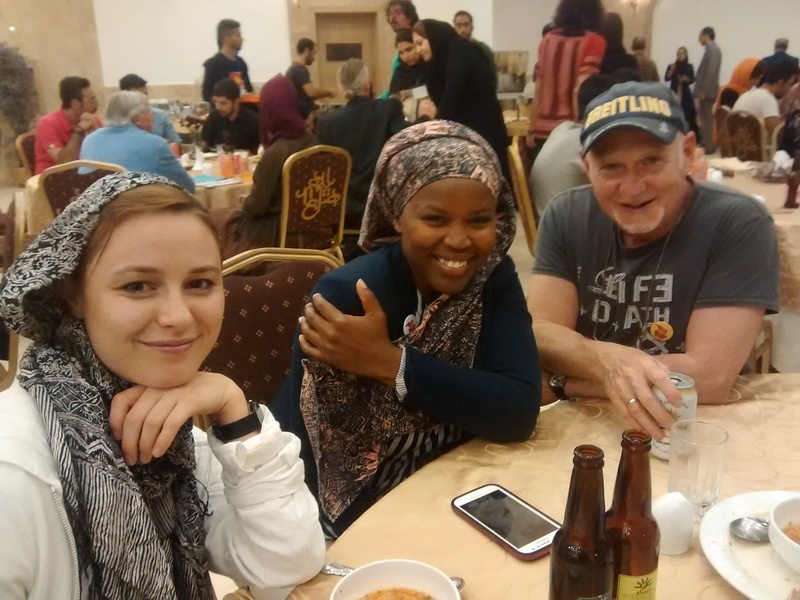 We also managed to fit in sightseeing to the Tehran National Museum and the Bazaar. Tehran is pretty hectic, trying to get across the road is insane and having to remember to keep my hair covered at all times, well i got used to it! 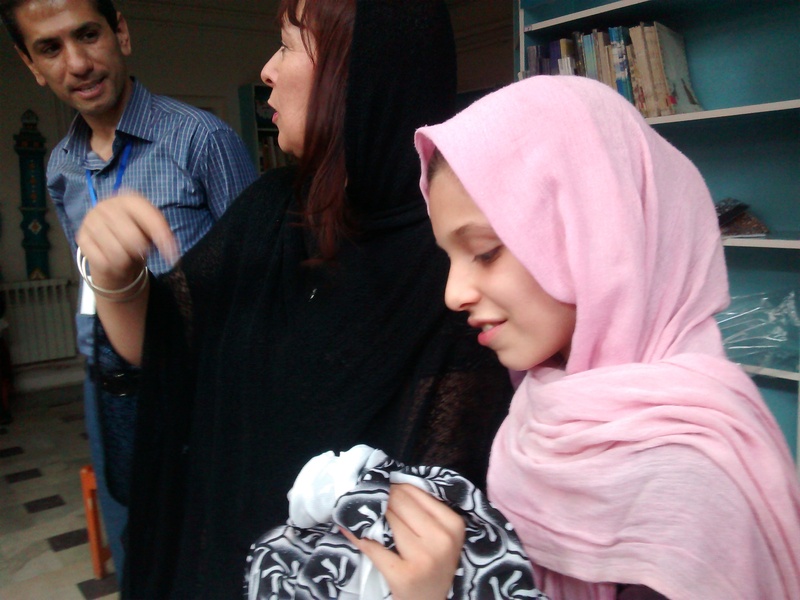 But I was very grateful to Afsaneh for steering me in the right directions. Lots of help from my Iranian friends, I met two years ago in Kazakhstan – Hamed Zaeran, Komeil Shavasari & Maryam Tehrani Rehearsals went really well, Afsaneh is very skilled, she speaks great English, and so we had a lot of fun, working through the new version of ‘Cloud Child’ which is the original story simplified to play anywhere, and be open enough to allow contribution from the actor/puppeteer joining the creative venture. Its like a line drawing on paper, someone else can colour in and add their creativity. All packed up ready to go to Hamadan, picking up Gary Friedman at the airport on the way! Gary’s here to do a masterclass & film Iranian puppeteers www.puppetryfilms.com Also here from South Africa is ‘Patchwork’ by Joanna Evans and Asanda Rilityana, the first professioanl theatre for early years production, supported by Small size, Assitej, which was charming with live music by Pedro the music man, and shared similar theatre making methods. ‘Cloud Child’ has three performances on the Saturday, so we do the bump in and technical the evening before, which I was glad about because of course we were still working past midnight. It was very interesting to have the show checked by governing authority, and no problems, except to keep the scarf on! The technical team were amazing, stuffing cloud cushions, making the space as good as possible and with lots of fluffy clouds pinned around , looked much more inviting for early years audiences. The first audience were all early years and perfect, I really enjoyed our performance and interaction with the children. 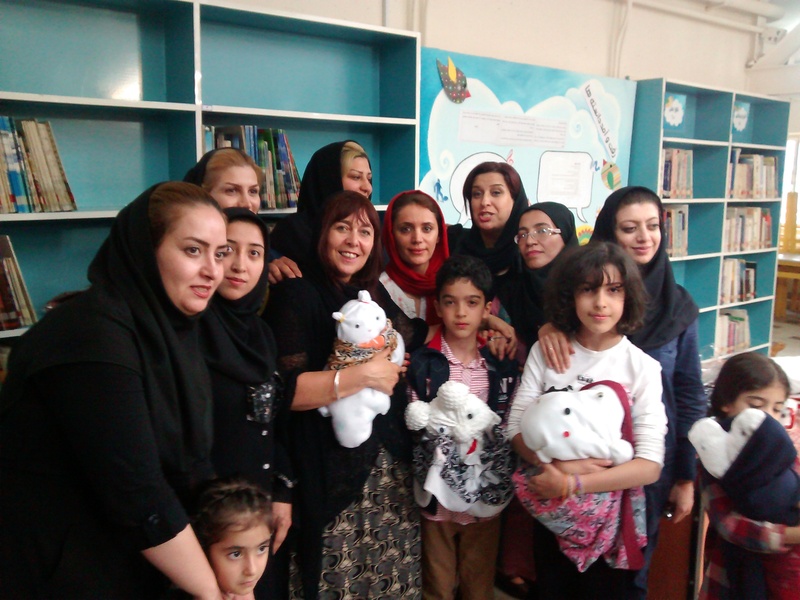 they played with the cushions, and participated in the journey of the story with sensory storytelling – water, fragrant smells and the wind. The other shows had older children and adult audiences, still successfull but not quite having the early years energy and responses, the audience still played and enjoyed the sensory aspects, as well as the show being visual and not using any specific language. 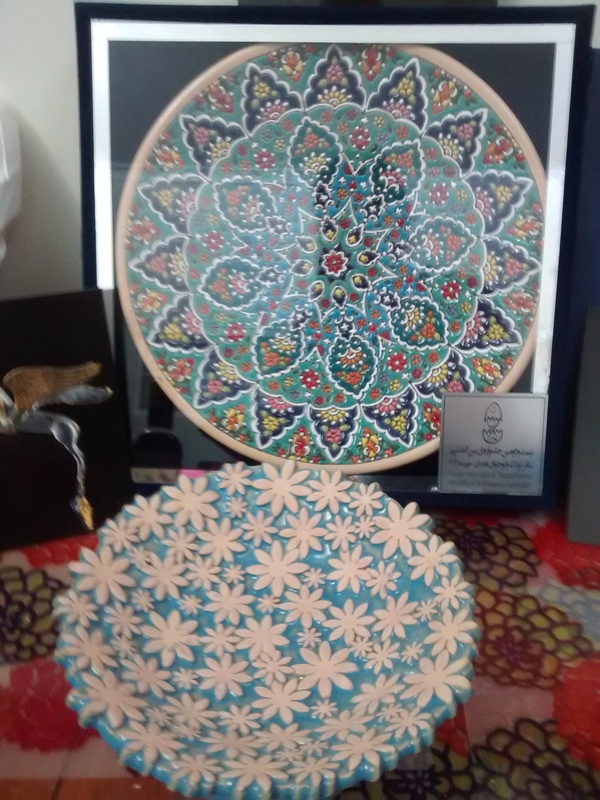 Afterwards I was given a beautiful flower bowl & certificate from the Association of Theatre for children & adolescents of Hamadan province. 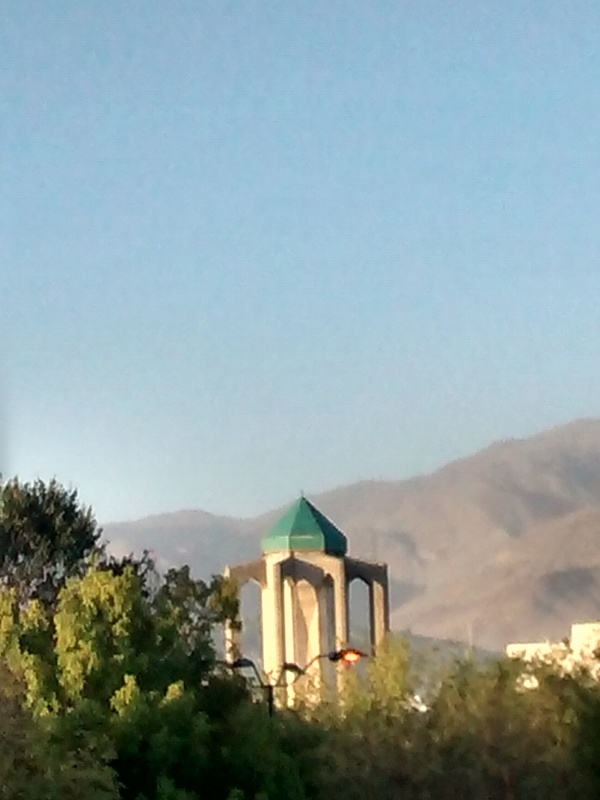 Iran is the country of poets, and from my hotel window, I could see Baber Taher’s shrine, reminding me of Thunderbirds are go! on the outside, inside are beautiful inscriptions, and luckily the day we visit, live poetry and music . Im also here to teach a Masterclass for early years educators on the Sunday, all the materials are supplied by the festival, and theres also a group of children joining in too. Which is great, as i can model with the children. As I introduce myself & my work to the educators, i give the children a scarf each and ask them to imagine what else this material could be? With my excellent translator Mr Mutahari, we get into a rhythm and talk about the importance of play, letting the children lead the exploration with given materials, the adult observing and following the children’s imaginative investigations. I use a mug to demonstrate making an instant puppet. My friends 3 and a half years old daughter perfectly assisted with no verbal language used. Firstly she used the mug as its functional use to drink from, then i turned it over and moved it as a head, and she pointed to where the eyes should be, So I stick on googly eyes, and she points to her own eyes. Then i model adding cloth to make a body for an instant character and interact with her, she touches the face and then takes my hand, the puppets hand. We also use our hands as puppets sticking on eyes and everyone has hands on play. 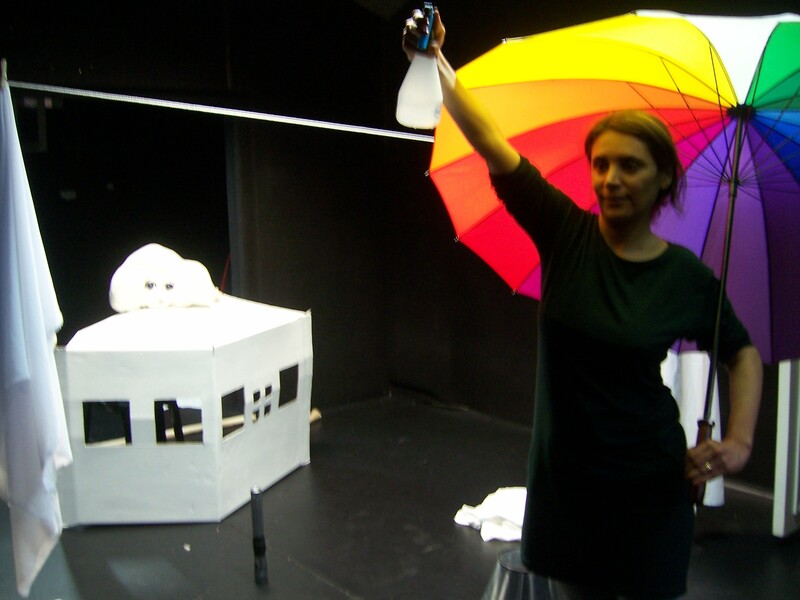 I also talk about a puppet as a communication tool, and how I use this in the early years theatre and play workshops I create. 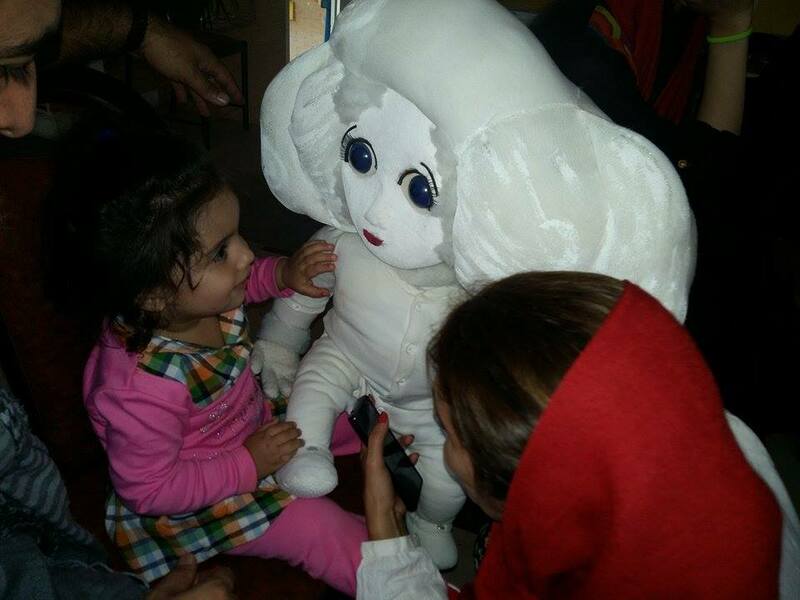 I demonstrate with Cloud Child and immediately Mahora runs over to interact with the puppet again! The children have made their own creations from the scarves,naturally giving time to process and also use the cloud cushions. . They have some fantastic ideas and one girl has made a simple bird by folding the scarf material, she makes it peck from its nest of a cushion.I ask her how it flies and assist her when she shows me, taking a wing to manipulate. 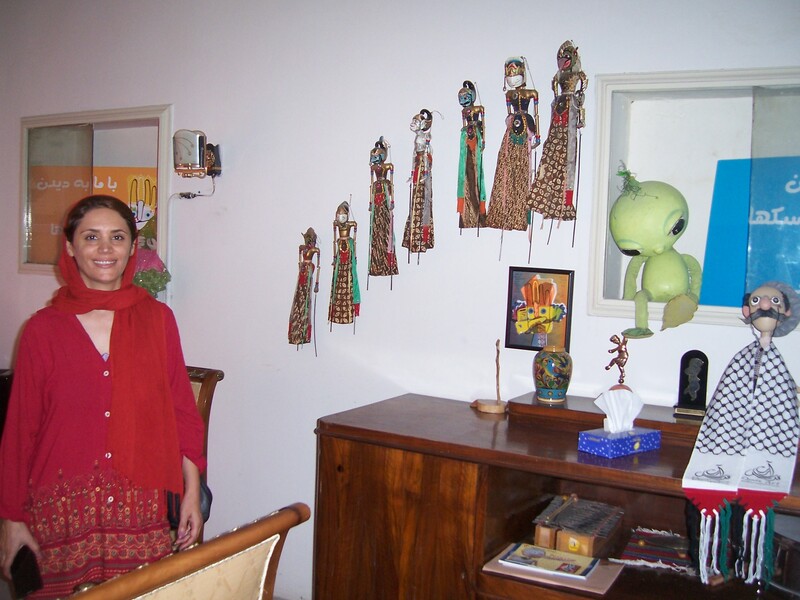 The imagination is always free and the children play happily making up stories, using furniture in the room. I also talk about the importance of sensory play, giving time to the process of exploration, to smell, taste and touch, see and feel. 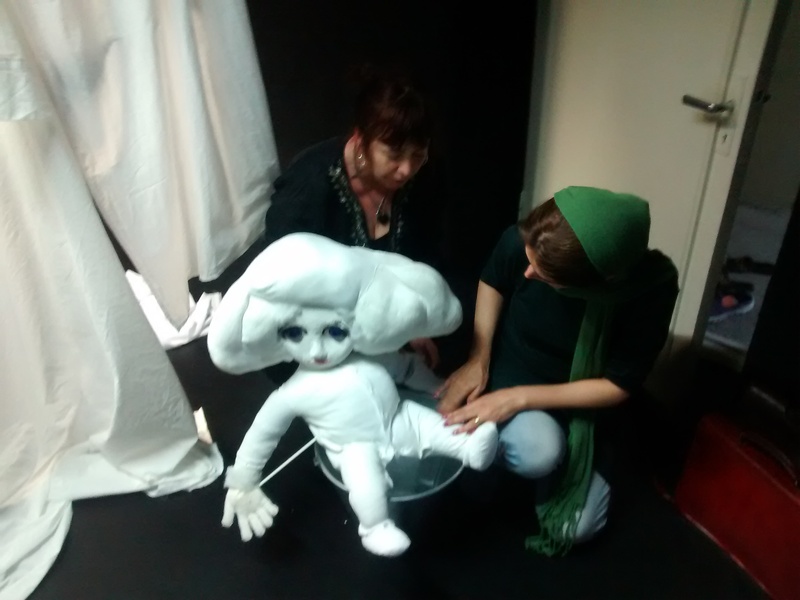 I demonstrate how this is used in the ‘Cloud child’ show with fabrics, water, fans and aromas. 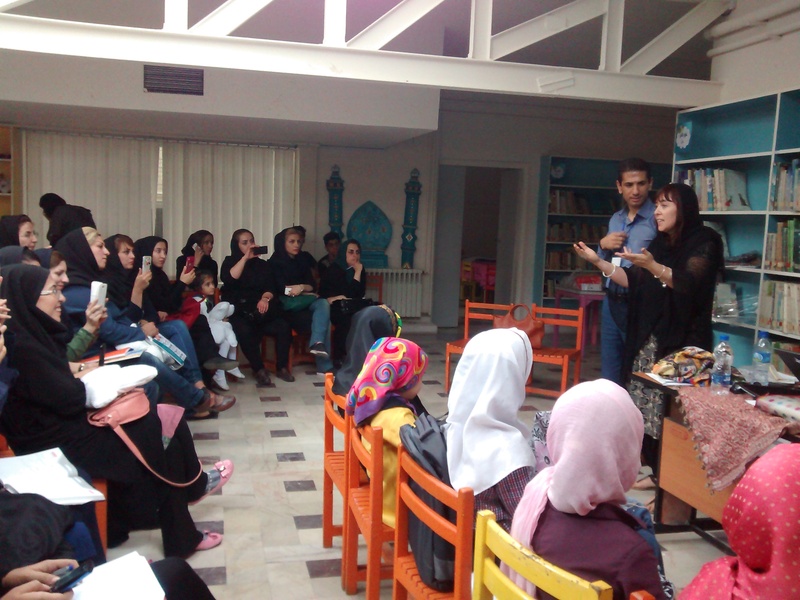 It was a great privilege to share ideas and skills with female early years educators & theatre makers in Iran at the festival, and also to make contacts for future masterclasses and productions. 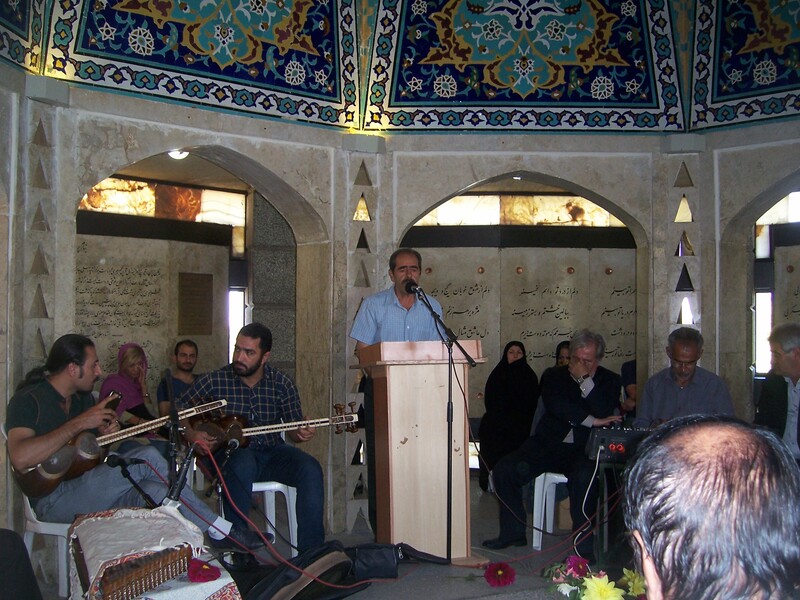 Iran has the most sophistictaed theatre tradition in the middle east and a rich history, often overshadowed by modern predjudices . 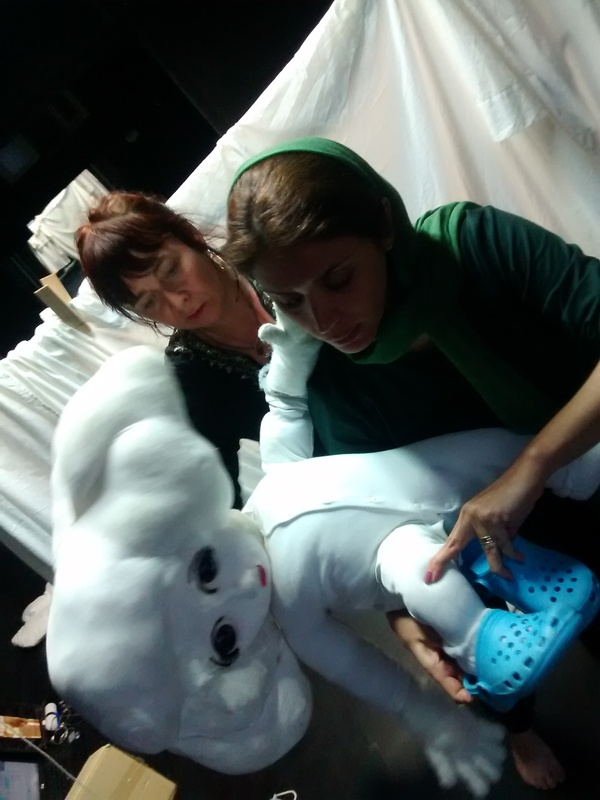 My trip to Iran was a wonderful opportunity to get a taste of the ancient & modern cultures, artistic traditions and vast amount of contemporary work happening in childrens theatre. 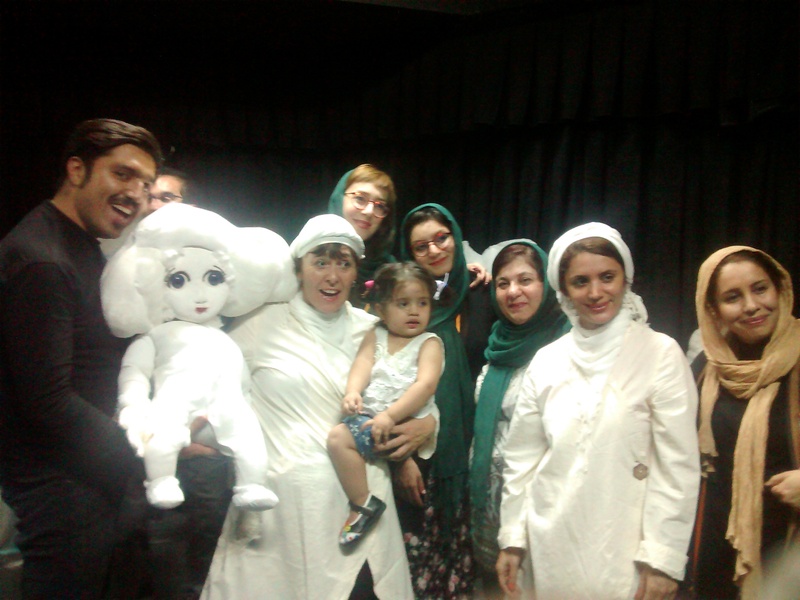 In Tehran there are 3 childrens theatres, one dedicated to young children, and it would be very interesting and beneficial to develop further connections and collaborations. 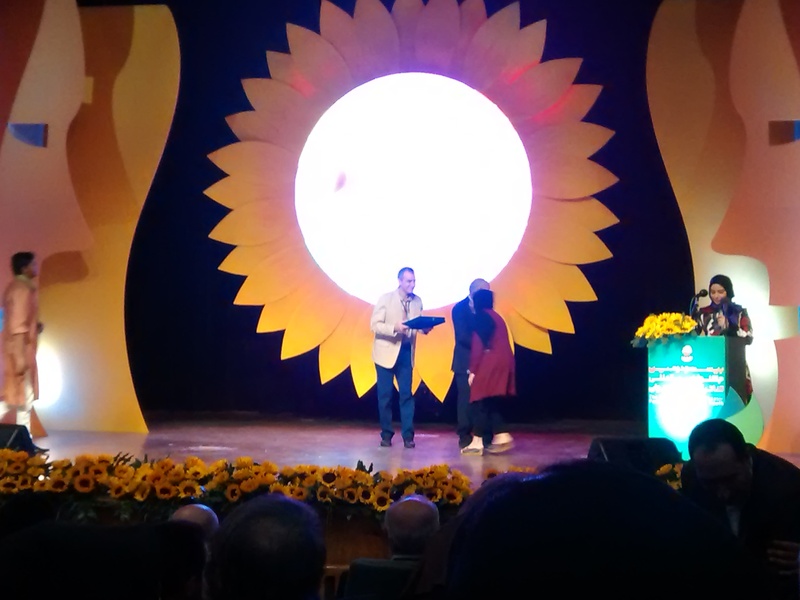 At the closing ceremony ‘Cloud Child’ recieved a Hamadan special ceramic award for childrens theatre and it was very interesting to see the incredible lifetimes work of Puppet master Marziyeh Boroomand in Iranian childrens theatre and tv, honoured with a special award . People have grown up with her television puppet characters and showed much appreciation. 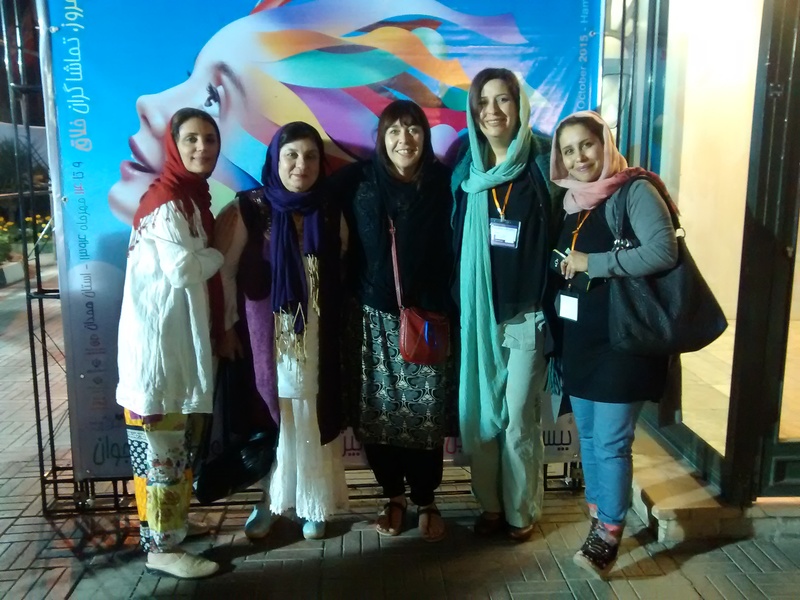 Huge thanks WA Department of Culture and Arts ‘Artsflight’ programme who funded my trip, and to the staff of the International childrens festival for a very successful event, and my Iranian friends new and old, for their friendship & hospitality. 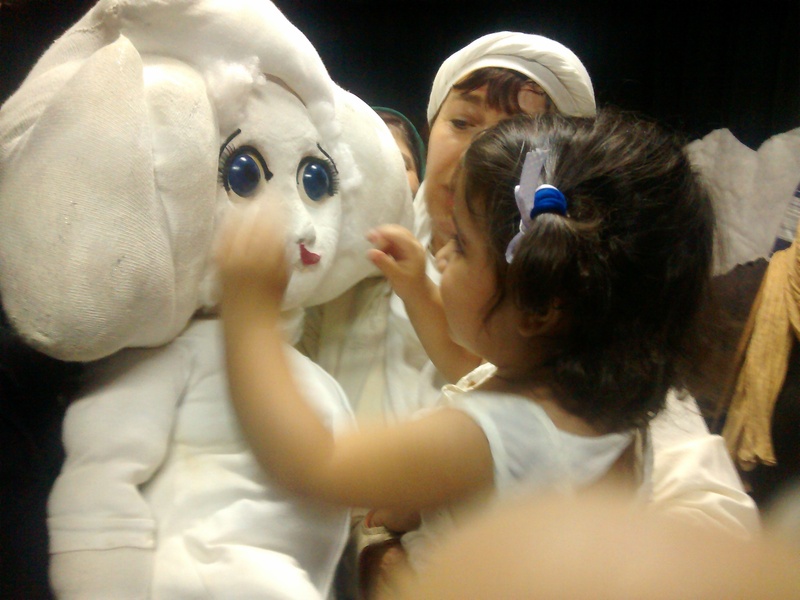 This entry was posted in Childrens Theatre, early years, Festivals, Uncategorized and tagged children, Childrens Theatre, cloud child, culture, early years, Education, hamadan, International, Iran, preschool, puppet festival, puppets, storytelling, workshops. Bookmark the permalink.